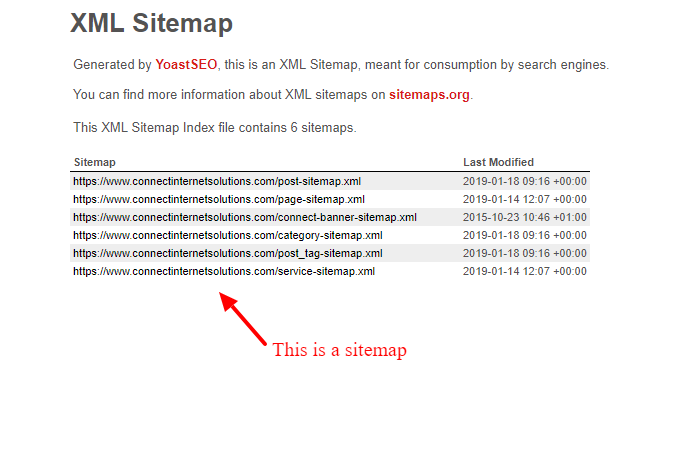 SEO 101: Do I need a sitemap? A sitemap is a file that provides context for the pages, images and other files on your website. Search engines scan your sitemap to in order to gain a deeper understanding of your site. A sitemap provides valuable information about your site’s pages and files, for example: when a page was last updated, how often the page has changed and any alternative language versions of a page. Will my site appear on search engines if I have a sitemap? Perhaps the biggest misconception regarding sitemaps is that having one will ensure that your site’s pages will appear on search engine results pages. Search engines use complex techniques to assess websites (also known as crawling), and providing pages aren’t intentionally blocked or overtly spammy, they’ll appear on search in time (also known as indexing). By submitting your sitemap to Google Search Console or Bing Webmaster Tools, you’re giving search engines an indication that your site has some semblance of structure. My website’s pretty big, will this impact my sitemap? If you have a small brochure-style site and your navigation is logical, search engines should be able to get to work without needing a sitemap. Even so, having one will improve the crawling of your site, particularly if it’s relatively new or has lots of pages or archived content. If your site does have lots of pages (we’re talking 50,000+), you’ll need to create a secondary section in your sitemap to host the remaining pages. How do I prevent search engines from indexing pages on my site? You can prevent a page from appearing in search results by including a ‘noindex meta tag’ in the page’s HTML code, or by returning a ‘noindex header’ in the HTTP request. When search engines next try to crawl that page, they’ll see your request and remove it from results pages. For the tag to be effective, the page can’t be blocked by your site’s robots.txt file. If it is, search engines won’t be able to see your request and the page may still appear on search. Ultimately, your site will benefit from having a sitemap, and you won’t be penalised for having one. A good sitemap will lead search engines to your important pages, even if your internal linking isn’t up to scratch. That’s a topic for next time. Stay tuned!